There are many applications for drilling an irrigation well. Whether it's for a garden center, greenhouse, farm or because you want to have a lush green lawn, an irrigation well may be the answer to your watering and irrigation needs. The relationship between water wells and your irrigation system can be quite complex. 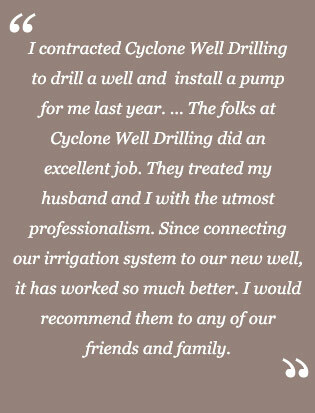 We can help determine what the best type of well is for your watering needs. Some towns impose water bans, therefore leaving you with a burnt or dried out lawn, so don't wait until your grass turns brown or your vegetables, shrubbery and flowers suffer. Successful farming also starts with a dependable source of water. And groundwater is the only truly dependable means to get it. Irrigation can increase crop yield by 20-65% in a typical year depending on crop variety, not to mention how beneficial it would be in a drought. Considering typical costs and fees associated with using municipal water systems (city water) for irrigation, an irrigation well will pay for itself in 3-5 years with average usage. We can help you develop a strategy to get the water you require at a price that's affordable and that will help protect your investment.